WASHINGTON (May 1, 2014, , 2014) – While the Post-9/11 GI Bill Transfer of Education Benefits program has been available since 2009, many Soldiers have not taken advantage of this program. Because the law requires Soldiers to serve an additional four years after deciding to transfer these benefits to a family member, Soldiers who wait until the end of their contractual obligation may find they cannot transfer their educational benefits. This is not an Army policy, but the law. The law prohibits transferring these educational benefits to dependents once a Soldier retires or separates. The Soldier must have the ability at time of transfer to serve those four additional years. 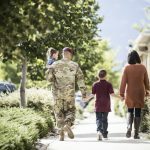 The Army needs your help communicating these key points as well as encouraging our Soldiers not to wait to sign up to transfer their benefits, even if they later choose to use the benefits themselves. • The Post-9/11 GI Bill is a service member benefit; the ability to transfer unused benefits was created as a recruitment and retention incentive for further service. • The law requires members to have at least six years of eligible service date and agree to serve an additional four years. • Spouses may use the benefit once the Transfer of Education Benefits is approved; however, children can use the benefit only after the service member has completed at least 10 years of service. • Soldiers acknowledge and agree to serve the four-year service obligation prior to the approval to transfer the education benefits to their dependents. • Failing to complete the service agreement, including voluntary retirement, invalidates the agreement required to transfer the benefits. If a dependent uses any of the benefit, VA will consider it as an overpayment. 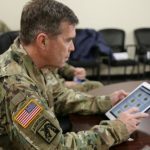 • Soldiers must elect to transfer Post-9/11 GI Bill benefits using the Transfer of Education Benefits webpage in the milconnect portal at https://www.dmdc.osd.mil/milconnect . 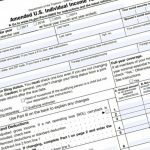 This site also provides Soldiers access to the approval form that specifies their obligation end date. 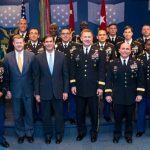 In addition to the current law described above, there is a draft Army Directive in staffing that will establish and clarify Army policy and procedures in support of the Army’s Recruiting and Retention Programs. 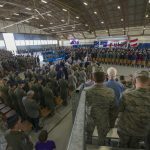 Once approved, the G-1 team will use every possible avenue to ensure Soldiers and leaders are aware of changes.